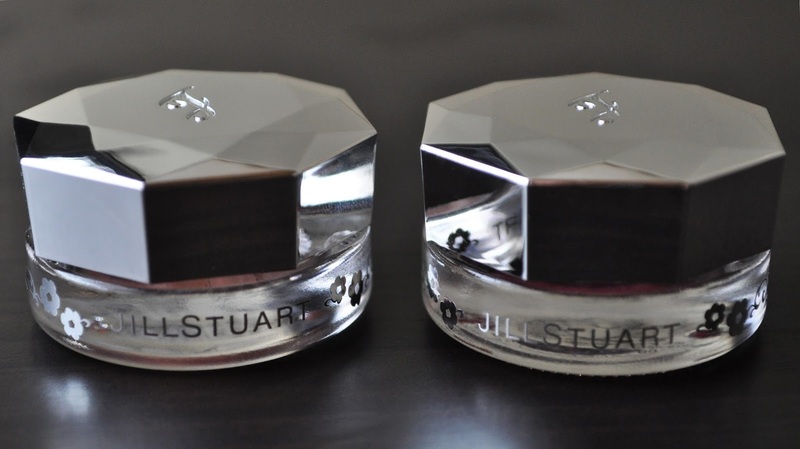 This Summer, Jill Stuart released these Jelly Blushers in five limited edition shades. I chose the two cheek colors that enticing me the most: 03 Swinging Chorus and 05 Let Vibrate. 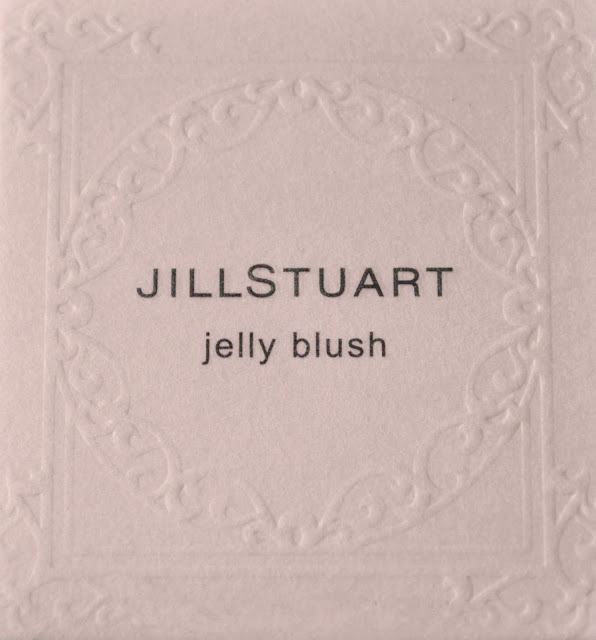 Housed in a glass jar with a printed silver floral motif and an octagonal-shaped, round-cut mirrored lid, the Jelly Blushers contain 6g of product. The blushes have a moist, bouncy, whipped mousse consistency. They're very pigmented; so, only a small amount is needed. 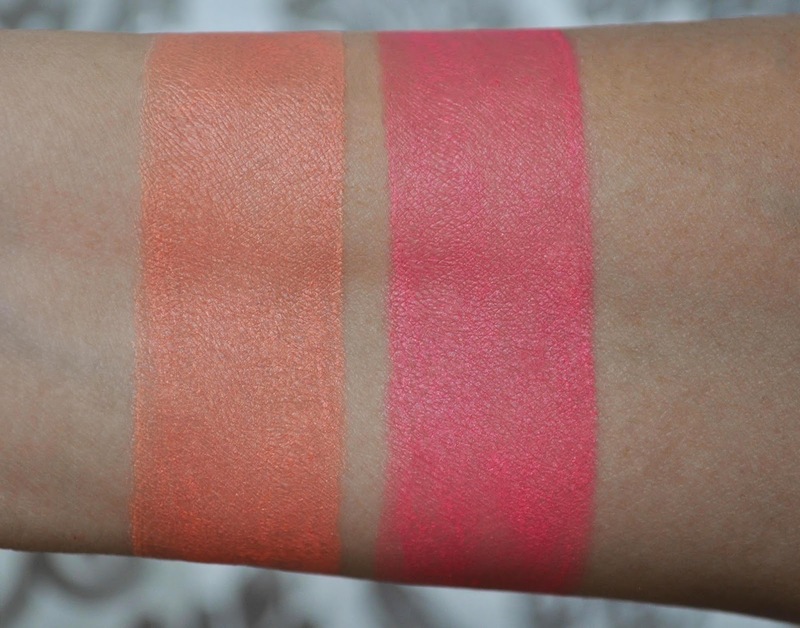 Also, while blending, I found the Jelly blushes have a subtle cooling sensation. 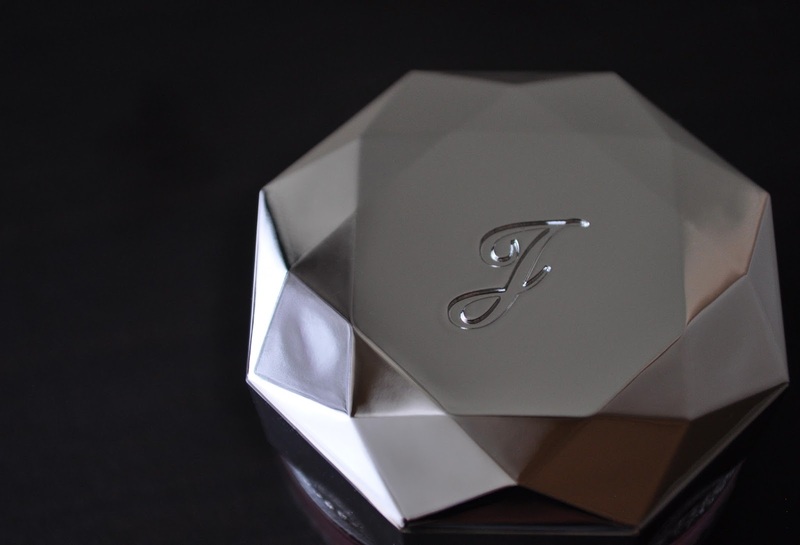 The finish is a beautiful, dewy, translucent, pop of color that awakens the face. These Jelly Blushers do contain micro shimmers, but they're refined (I want to stress that it's not juvenile glitter); aiding in the dewy sheen, without migrating all over the place. From left to right: 03 Swinging Chorus, 05 Let Vibrate. 03 Swinging Chorus: a milky, cantaloupe-orange. 05 Let Vibrate: a milky, watermelon-red. Overall, I'm very pleased with the look and wear (about 5-6 hours) of the Jelly Blushes. The one thing I dislike, is their sweet rose fragrance. Thankfully, it goes away after a few seconds. Jill Stuart Jelly Blushes retail for 2,940 ($30.89). and let's vibrate looks good!!! 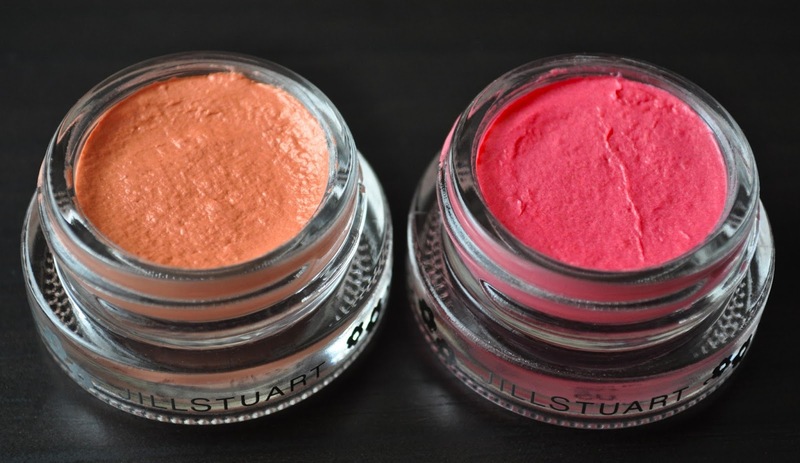 I believe these blushers are still available, do you want me to pick them up for you? You're welcome :) and you're absolutely right Jenni, the packaging is the same. Ah Jill Stuart never fails to impress with their packaging! Both colours seems so pretty and wearable! They are, and they look beautiful mixed together! Ooo! Ooo! Ooooo! Swinging Chorus is captivating.